“Thank you for joining us on this flight to sunny Manchester,” the pilot greeted us on my plane home last week. I don’t think I’ve ever been on a homeward bound flight where there hasn’t been a reference to the Manchester weather, and true to form it has been gloomy, grey and grim since I landed on Friday morning. Despite being caught in downpours and hail, my enthusiasm has not been dampened. I wouldn’t want to be anywhere else! Of course, the luxury of having a proper kitchen has been one of the highlights of my return. 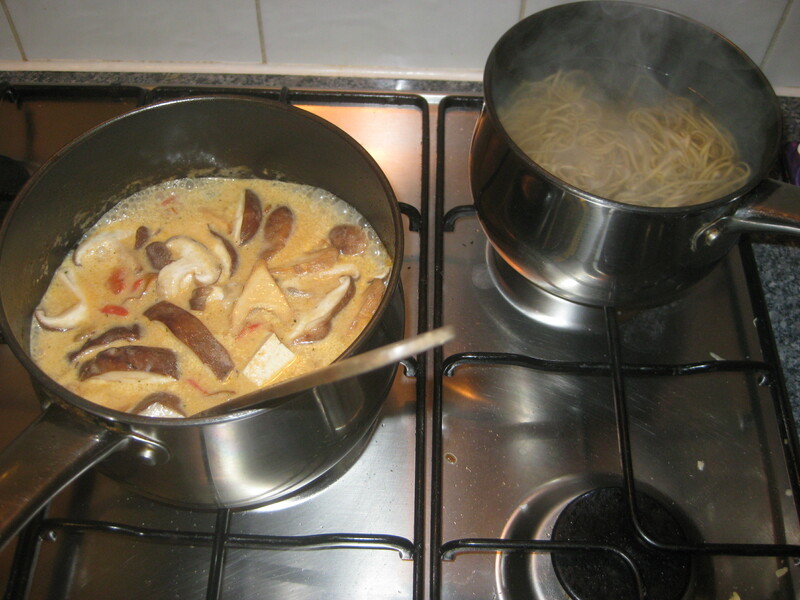 Going from my one-pot induction hob and plug-in mini oven to my mum’s well-equipped kitchen is absolutely heavenly. And standing in the middle of the room and not being able to touch any walls: bliss! My home cooking got off to a good start at the weekend with a feast of a pie on Sunday and this delicious laksa on Saturday. It’s the most filling of soups with its abundance of mushrooms, tofu and noodles, and the coconut broth is spiced to perfection. 1. 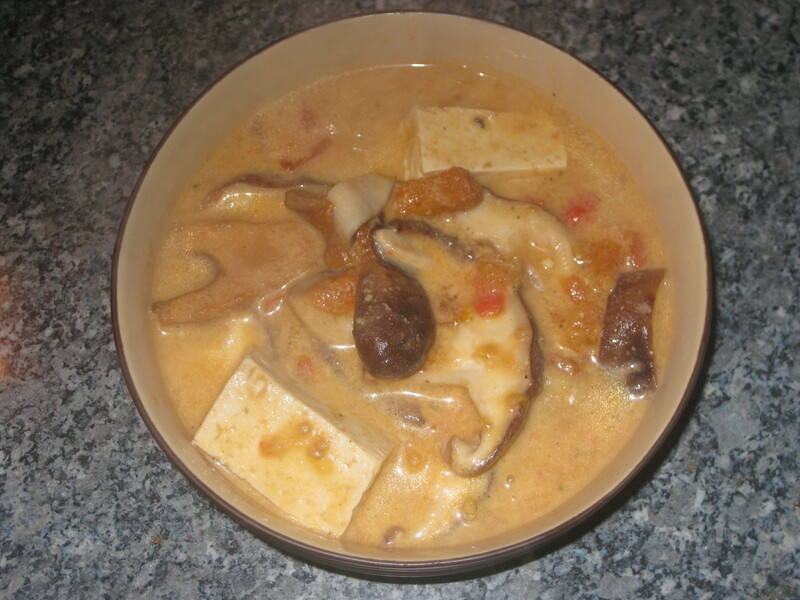 Prepare the tofu first: drain and remove it from the packet, wrap it in kitchen paper and sit in on a chopping board. 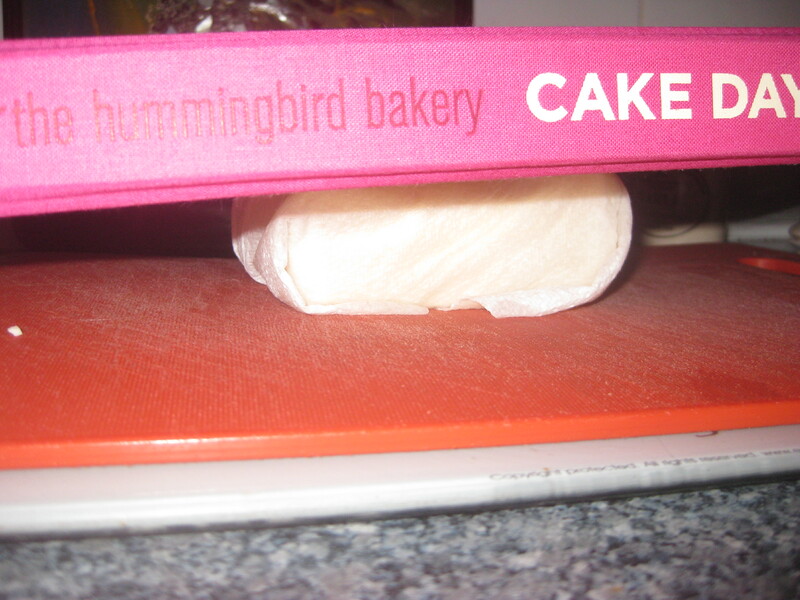 Put a book or something heavy on top and stand it for about 10 minutes, then chop it into chunks. I can’t remember where I got this tip from, but it prevents the tofu from crumbling. 2. 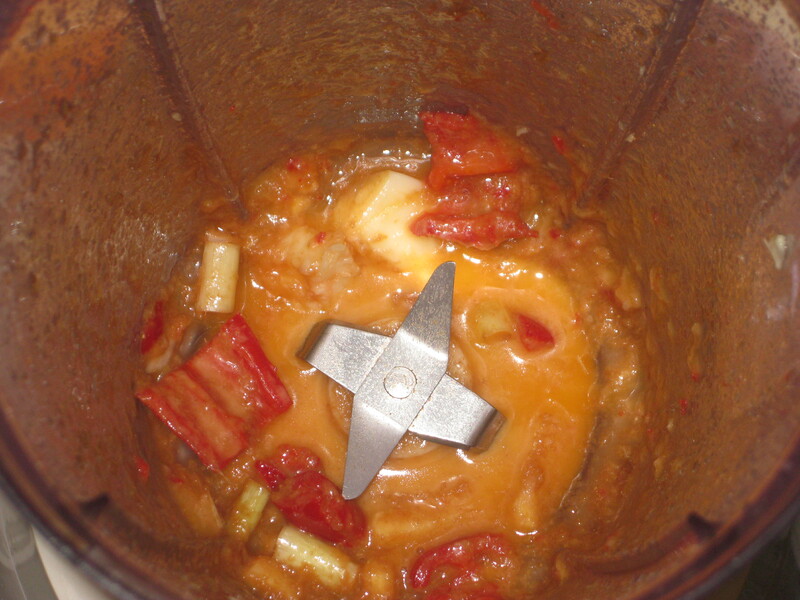 Put the chillies, ginger, garlic, lemongrass, coriander, tamarind sauce and oil in a blender and whiz until it forms a paste. Mine required a lot of blending and ended up more a liquid than a paste, but the flavour packed a punch and that’s all that matters. 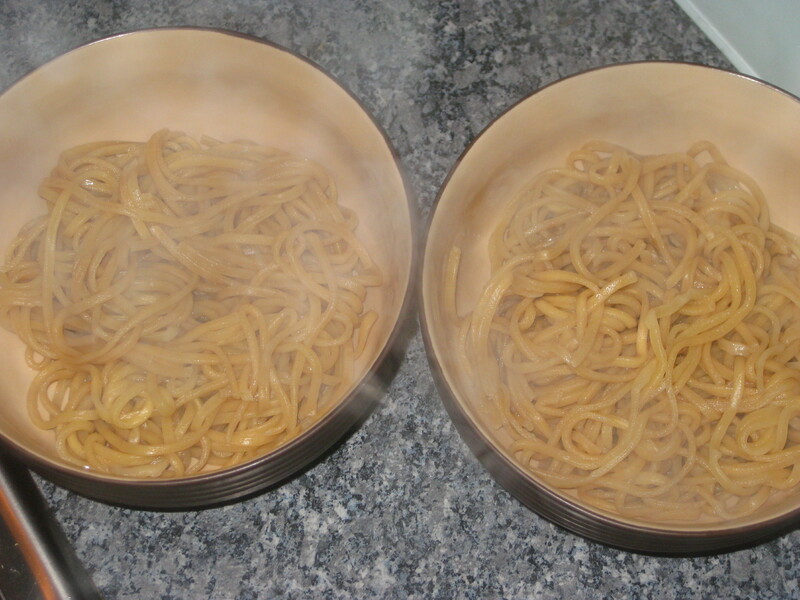 Put a pan of water on to boil for the noodles. 3. Fry the paste until it becomes aromatic. 4. 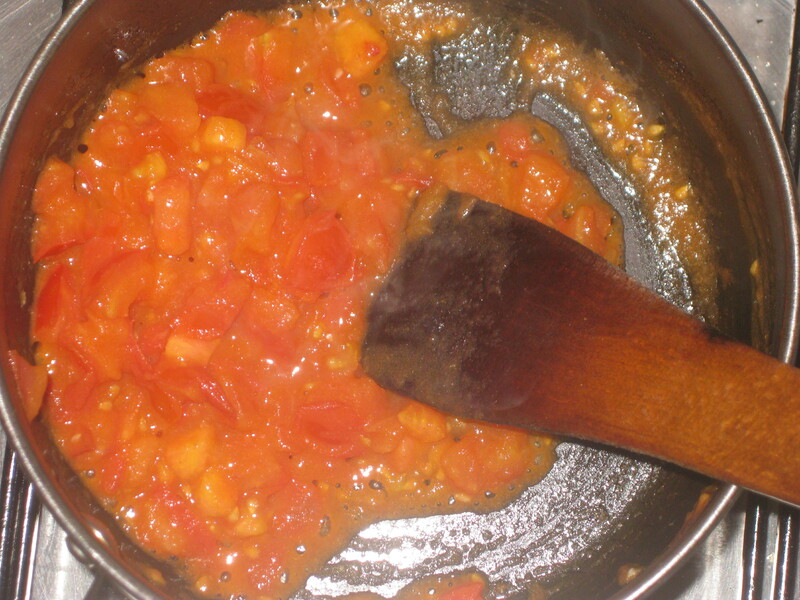 Add the tomatoes and cook over medium heat for 5 minutes until thick and spicy. 5. 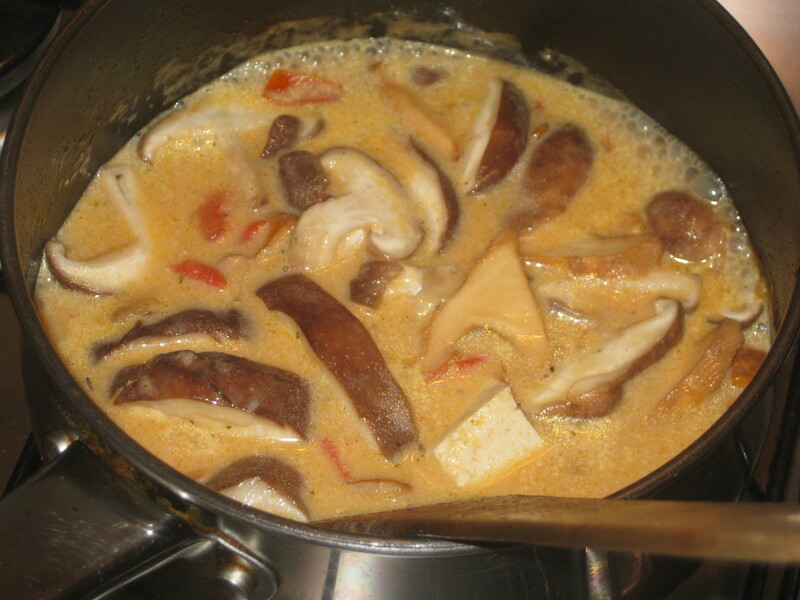 Pour in the stock and coconut milk and bring to the boil. 6. 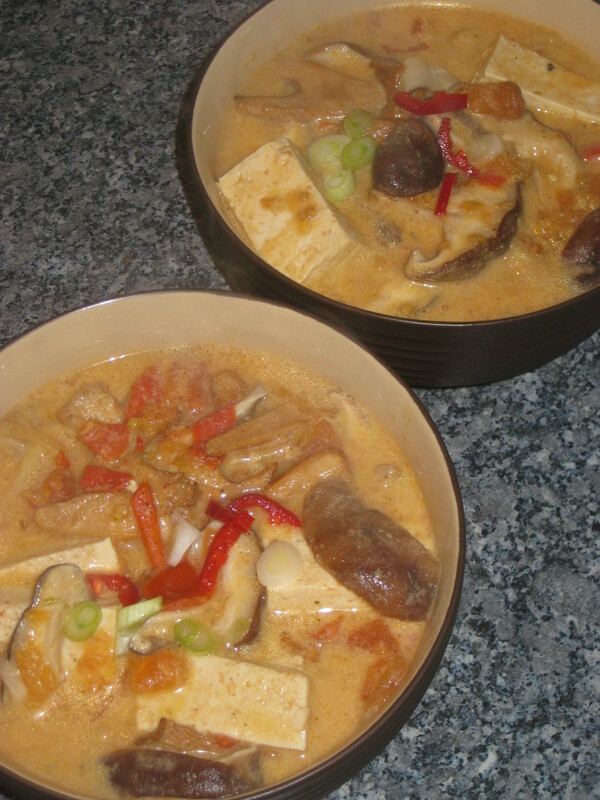 Add the tofu, mushrooms and soy sauce. 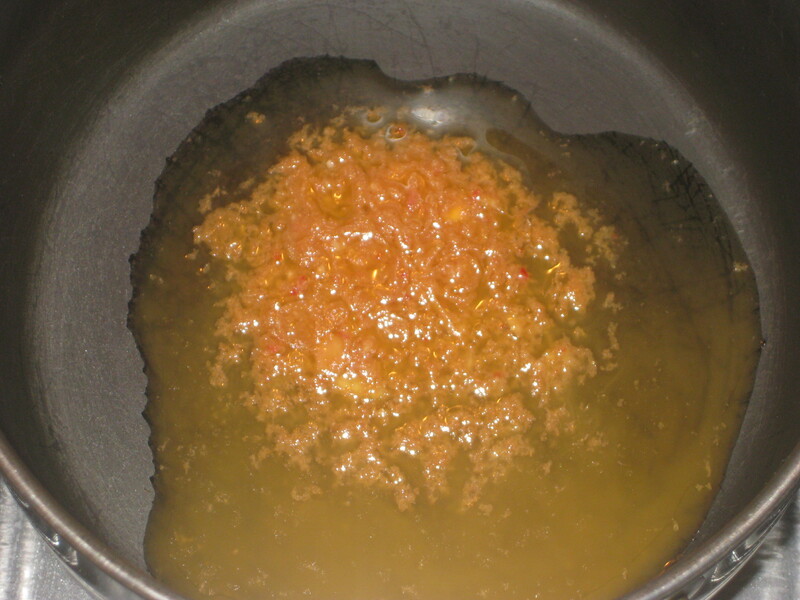 Simmer for 4 minutes. 7. 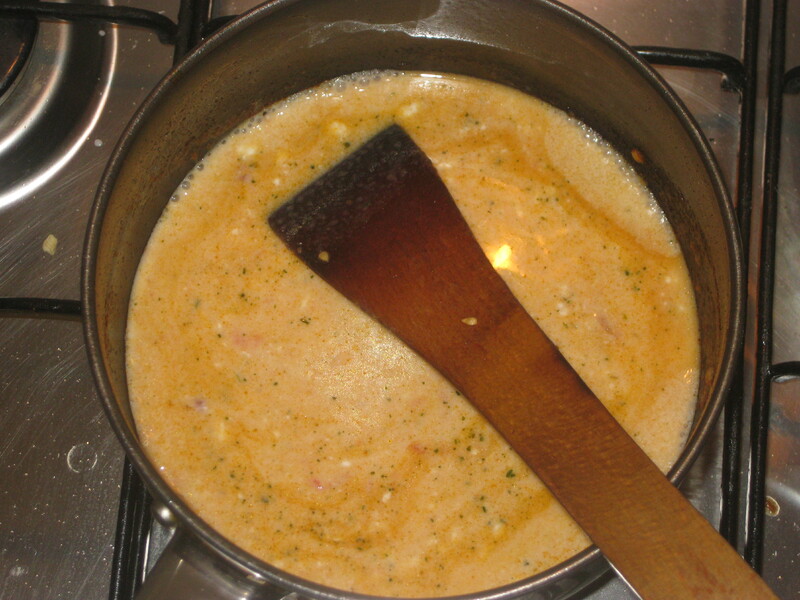 Cook the egg noodles in the boiling water for 4 minutes. 8. Drain the noodles and divide them between 4 bowls. 9. Ladle the broth on top of the noodles. 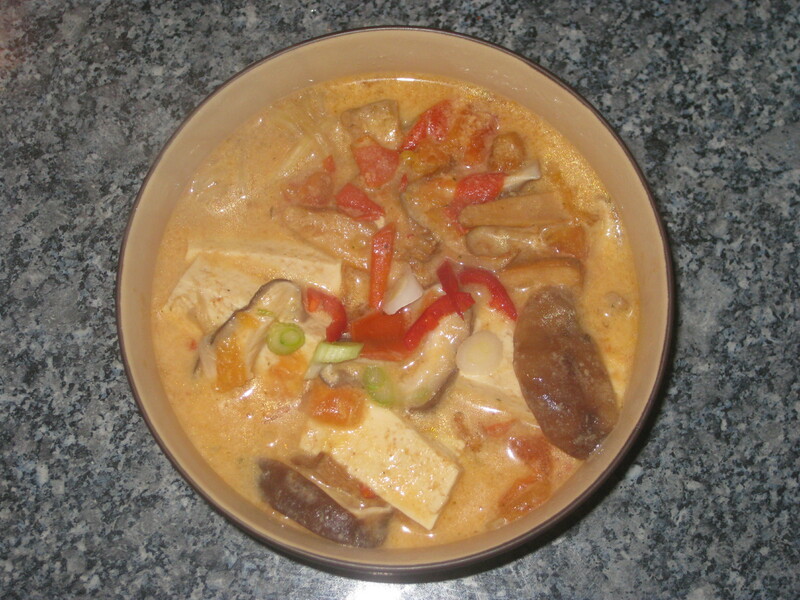 This entry was posted in Vegan Recipes and tagged laksa, Simon Rimmer, vegan soup, vegan week, vegetarian laksa. Bookmark the permalink.